Tavira, Portugal was by far our favourite town in the Algarve. We had taken a five-day road trip through the Algarve from Sagres to Tavira. Have to say, the coastal scenery along the way in the Algarve is spectacular, as were some of the inland villages and towns we drove through. But we weren’t impressed with the massive high rises and many ugly looking coastal resorts that we passed in central Algarve. So What Was So Special About Tavira, Portugal? 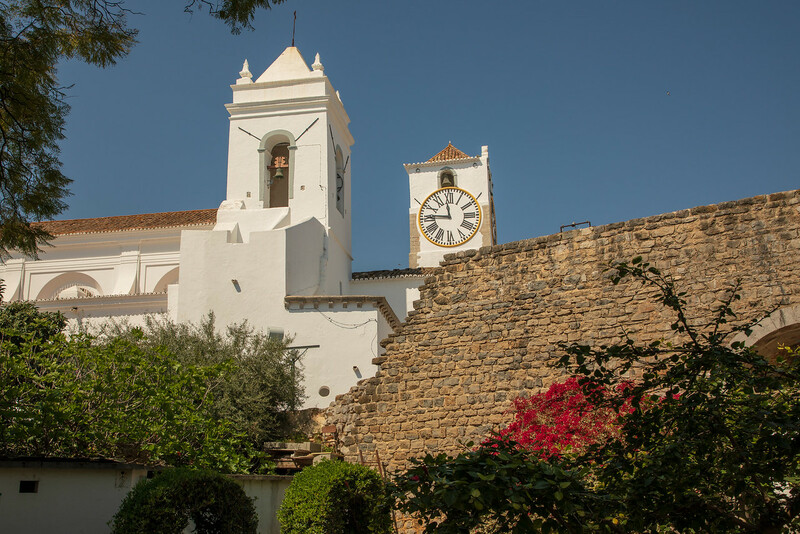 We liked Tavira because it still retained its charm. The town had yet to be ruined with randomly built ugly looking apartment blocks nor packed with bars and restaurants offering a Full English Breakfast. Although we have to confess we did enjoy an enormous fry-up after a night in Albufeira. The charming town of Tavira straddles the Gilão River as it enters the Atlantic Ocean at the Ria Formosa natural park. It was just a beautiful town, and it was fun roaming the old streets and narrow alleys found on both sides of the river. We enjoyed it so much that we stayed an extra day! Tavira Castle is located at the highest point of Tavira and has excellent views over the town and national park. It was built to guard the once small fishing town from raiders and pirates from North Africa. It’s not a particularly big castle, but it’s free to enter and also features a garden filled with bougainvillea. There’s a watchtower you can climb for an even better view which is typical of Moorish fortresses. Just next to Tavira Castle is the Igreja de Santa Maria do Castelo. This church was built in 1242 after Tavira was taken back from the Moors. It’s actually built on where the town’s mosque used to be. The original Gothic church stood for more than 500 years until being severely damaged in Portugal’s devastating earthquake in 1755. The church was then rebuilt in the Baroque style you see today, but the Gothic portal dates back to the 1300s. 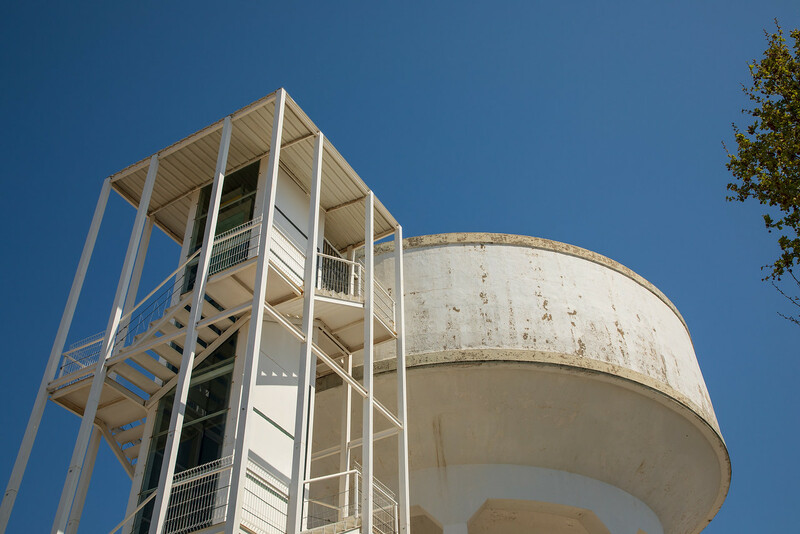 Close to Tavira Castle is the Tavira Camera Obscura (Camera de Tavira) located in a converted water tower. It sounded intriguing but unfortunately, it was closed when we were there for renovation, but it is open again now. The Camera de Tavira was installed inside the water tank and uses carefully positioned mirrors to project a live image of Tavira onto a table in a darkened room. It had great reviews on Trip Advisor so we were a little disappointed we couldn’t visit. Opening hours of the Camera de Tavira: 11:00 to 15:00. Last entry at 14:30. Just a short walk from the Praça da República along the riverfront, you’ll come to the small, but pleasant Jardim do Coreto. Filled with palm trees, it’s a cool shady spot to relax. 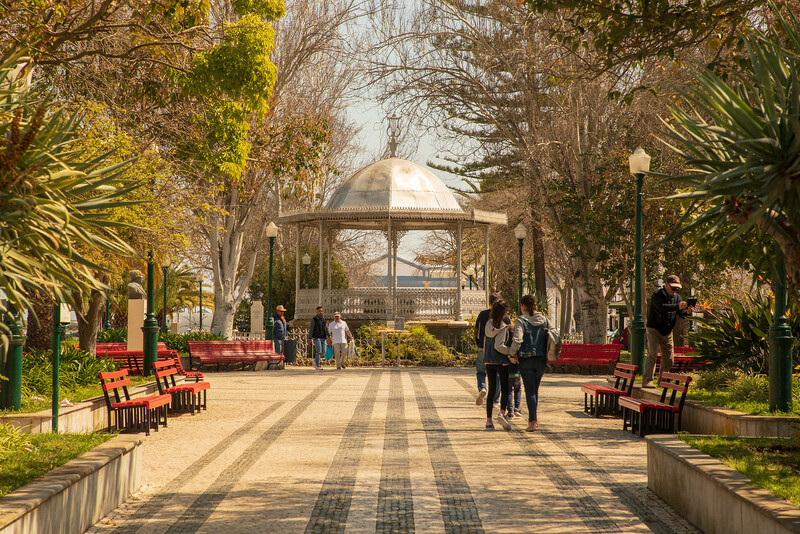 Built in the 1890s, this is Tavira’s oldest public park. The Praça da República is the town square in the heart of Tavira. It’s here where you will find the tourist office, charming old houses and shops, and many bars, cafes, and restaurants. The old bridge that crosses the River Gilão is often referred to as a Roman Bridge, but it’s not actually that old. It’s believed it was built in the 1100s during the time of the Moors. 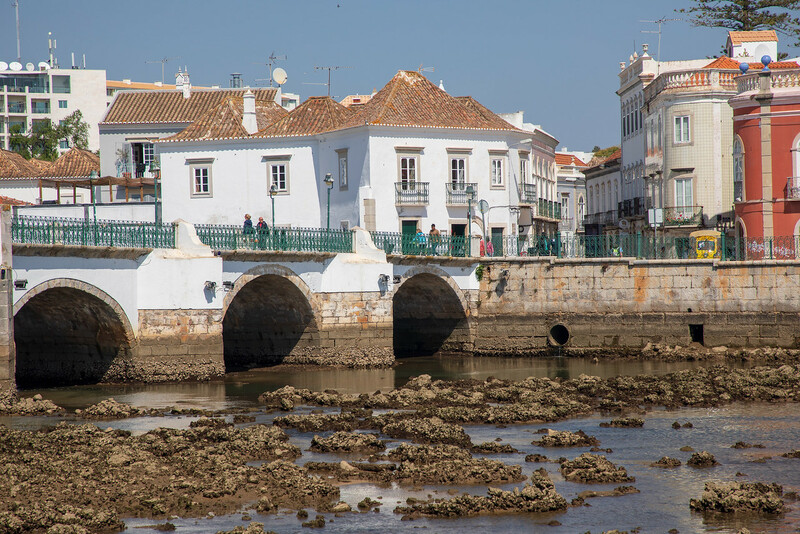 There are seats in the bridge where you can enjoy views of historic Tavira and the slow-flowing River Gilão. 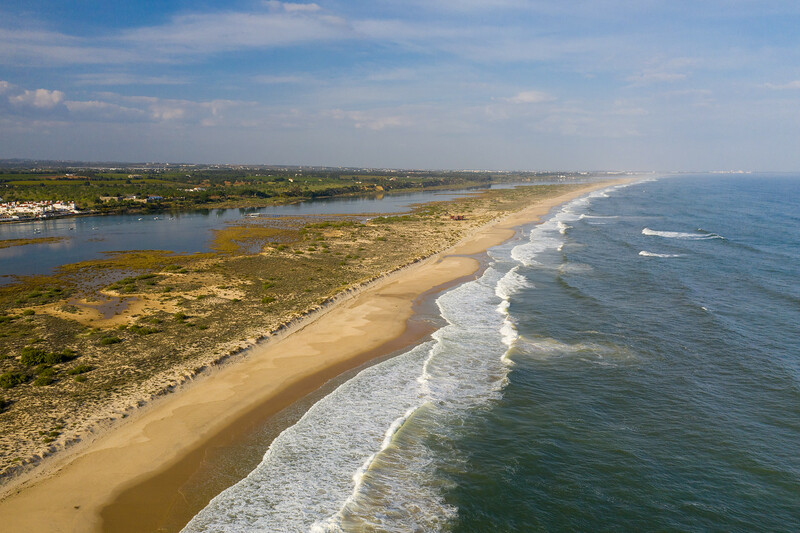 There are three beaches on Ilha de Tavira. The most popular is Praia da Ilha de Tavira located at the eastern end of the island and the closest to the town of Tavira. In the centre, you’ll find Praia de Terra Estreita which is a little quieter and has fewer facilities. To the west, roughly five kilometres from Tavira town is Praia do Barril. Praia do Barril is one of the least crowded beaches in the Algarve, although still gets quite busy in the summer months. Fortunately, the beach stretches for miles, so there’s plenty of space for everyone. From the main car parking area for Praia do Barril, it’s possible to walk across to the island, but if you’re feeling lazy, you can cross by miniature train. The train runs between 09:00 and 17:30 and costs 1.50€ each way. Once you’ve crossed the creeks and dunes, you’ll arrive at an old tuna-fishing community. The former huts and homes of the tuna fisherman are now a beach restaurant, and there’s also a small tuna museum, and an anchor cemetery where more than 100 anchors that used to hold the tuna nets lay rusting in the sand. Roughly seven kilometres east of Tavira, Portugal is the small town of Cabanas. 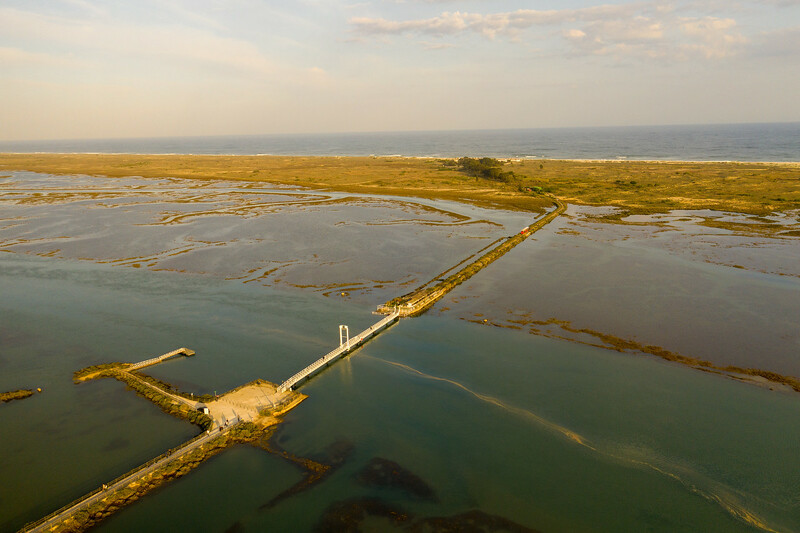 The town is located by the Ria Formosa Lagoon, and it’s a pleasant place to take a stroll along the boardwalk admiring the small wooden boats or enjoy a waterside drink or meal. Just across the lagoon is another barrier island with a Blue Flag beach. Water taxis will take you across the bay for two euros return. It’s also possible (although we didn’t have time) to take a cruise around the Ria Formosa Lagoon. It’s a natural park with more than 170 square kilometres of channels, salt pans, shellfish beds, and islands and with more than 200 bird species, it’s an excellent place for bird watching. Flamingoes spend their winters here, and redshanks and booted eagles rest here during migration. Have you ever taken a cruise on the Ria Formosa Lagoon? Tell us what it was like in the comments below. Interested In Playing Golf In The Algarve? There are plenty of restaurants around Tavira, so you won’t starve. We had a lovely local meal at the Cantinho do Emigrante, located not far from the old bridge. Address: Praca Doutor António Padinha 27, Tavira. Chicken Piri-Piri for me and octopus rice for Jon. The nearest airport to Tavira, Portugal is Faro. Tavira is roughly 48 kilometres from Faro Airport. A taxi from the airport in Faro to Tavira will cost you around €50. We love the freedom of having a car but if you do decide to rent a car, book early if travelling in the summer months to secure a decent rate. Or take bus no 16 from the airport to Faro train station, then take a 30-40 minute train ride to Tavira. Price as at April 2019 – €3.20. If you’re coming from Lisbon Airport, and you don’t fancy driving, (it’s a two hour 45 minutes drive) there are two train options: One departs from Gare do Oriente in Parque das Nações, and the other from Barreiro. Prices as at April 2019 – €23-32. It’s also possible to take a bus from Lisbon Oriente Station to Tavira. Some bus journeys will require a change of bus at Albufeira. Price as at April 2019 – €20. There’s plenty of accommodation to choose from to suit all budgets. We stayed at the friendly three-star hotel Residencial Mares located in central Tavira. Prices from €50 a night and included a buffet breakfast. We hope you found this guide helpful. 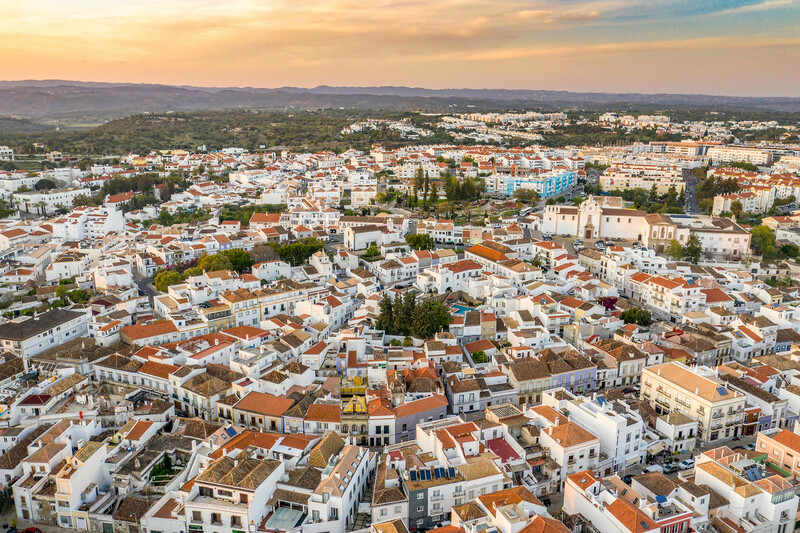 We were only there for two days so certainly not experts on Tavira, but if there’s anything you feel we should add, let us know in the comments below. Tavira sounds like my kind of place! Honestly, I was always put off by the Algarve because of the amount of tourists there, but you’ve swayed me to visit here next time. It definitely has retained its Portuguese charm and I’m craving a plate of the octopus rice now! It looks delicious! Isn’t it amazing how times change? There was a time when those old tuna huts would have been considered low class living. Now, they are remote oceanside cottages. Tavira sounds like a beautiful place. Tavira sounds like a wonderful town, and I will be sure to add this when visit Portugal. Modern structures midst historic structures certainly are a turn off for me as they ruin the beauty. Glad Tavira retained its charm through the years. The aerial view of the town is stunning! I haven’t visited Tavira as yet but it looks a perfect destination in Portugal. Thanks for the information on how to get there from Lisbon and Faro. A visit to the Praca de Republica interests me – there is nothing better than sitting in a square sipping on ice cold wine or a beer whilst people watching. How I wish I had known this place during my travel to Portugal. It is sad that modern buildings come up in an unplanned manner in such beautiful old towns. I had prawn rice there is a pot like the one you showed. 🙂 Craving to get back there again. I would love to taste the octopus rice! Tavira looks really charming. The castle is so beautiful. I loved the drone picture of the beach. Definitely a great place to visit when in Portugal. Looks like a great place to visit! 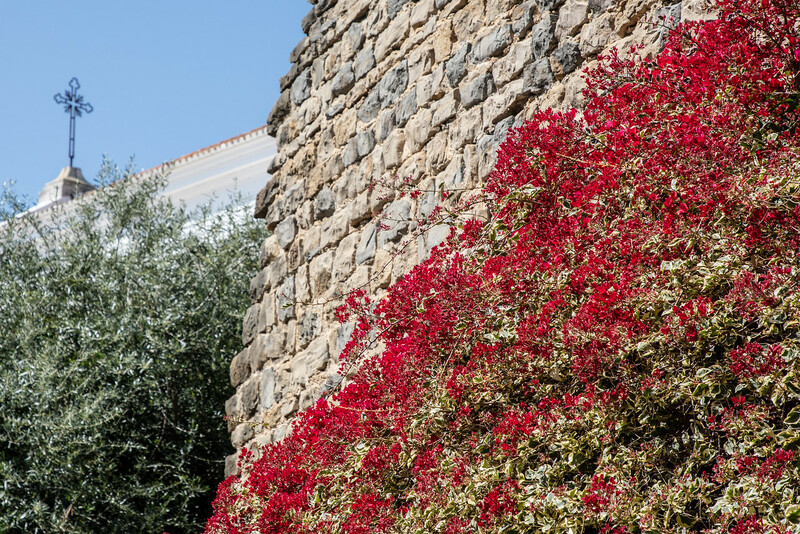 I’m particularly interested in the castle – I love medieval architecture and bougainvillea are my favorite flowers. Such a pretty and memorable city to visit!